Have the fire ants raided your lawn or home yet? Don’t let them take control of your yard. 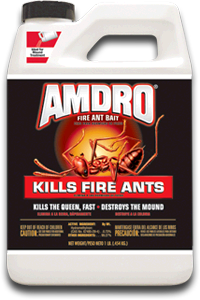 Keep them away with any fire ant bait! Take advantage of McGregor General Store’s weekly special on ALL fire ant bait! Fire ant bait — Kills fire ants! Offer expires April 15, 2013 or while supplies last.